Is liver good for dogs? YES! Here at Barking from the Bayou, we are liver lovers. Okay, before you say, “Gross!” let me say that I understand. I believe most people’s reaction to eating liver is a long held prejudice from childhood. Cool kids don’t eat liver, Brussels sprouts or a lot of other healthy foods. I have always been a fan of liver whether it is beef or chicken. My mom makes the best liver and onions as well as fried chicken livers. My own children wouldn’t touch it but fortunately, that is not an issue with my dogs. Bentley and Pierre LOVE liver and I love feeding it to them. Liver gets a bum rap. Did you know that it contains 10 to 100 times the nutrients of muscle meats? That’s right, hamburger and chicken breasts pale in comparison to it. 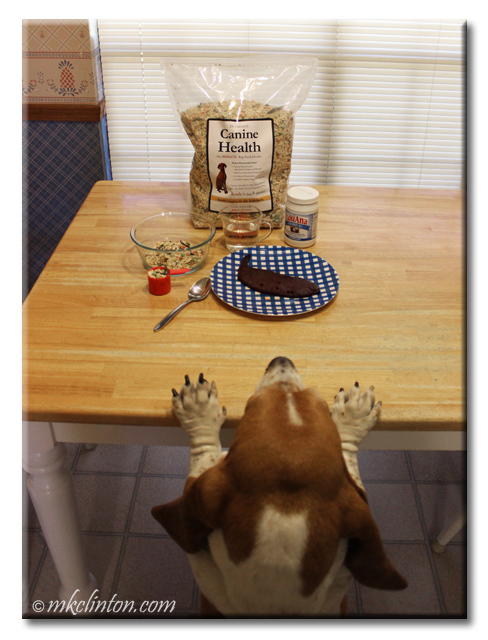 When you add liver to your dog’s food, they benefit from large amounts of vitamin A, B, and iron. They will also get trace minerals, CoQ10, and protein. I buy liver from my local grocery store and look for “grass-fed” or “Pasture-raised” on the labels. The liver cleans toxins from the body but it doesn’t store those toxins. You can also use a dehydrator to make your dog their own liver jerky treats. They will love them! Remember liver is good for the liver. If you have ever been diagnosed with anemia, you were probably urged to eat more liver. It is also beneficial for vision and to increase energy. These are all things that will benefit your dog too. While I am a fan of beef and chicken liver, the dogs can also enjoy lamb, pork, and bison liver. It’s not a good idea to feed them the liver from wild game because you can’t be sure of the quality. Some deer are infected with liver flukes, which are a type of parasite, and can be dangerous if ingested. I prepare Bentley and Pierre’s meals with the help of Dr. Harvey’s Canine Health or Veg-to-Bowl so it is necessary for me to add my own protein source. I try to include liver at least once or twice a week along with other meats. When I prepare any meat for their meals, I boil or brown it instead of feeding it to them raw. That is just my personal preference. Liver as with any protein should not be overused. 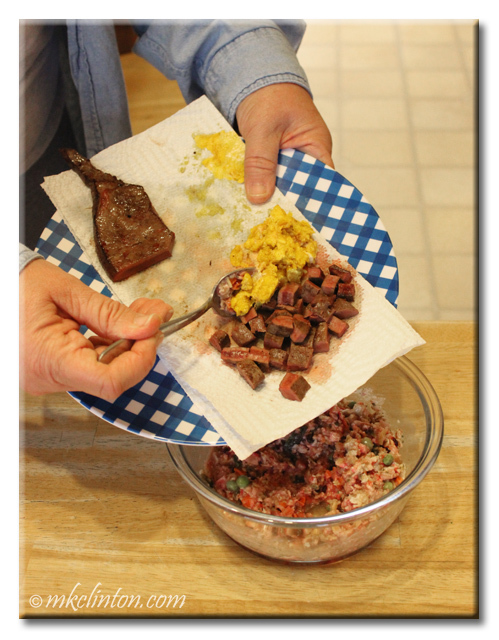 Most raw feeders use liver as 5% of their dog’s protein source. You will find in many commercial dog foods too. Here is a recipe for Liver Dog Cookies that I used to make when I was showing my German Shepherd. It is a perfect high-value treat. *This recipe calls for 1 tbsp. garlic powder. I know many people believe garlic is poisonous to dogs. Studies show that a dog would have to consume 50 cloves of garlic to be poisoned. However, if you are uncomfortable with adding garlic, you can certainly omit it from the recipe without any problem. Are you or your dog liver lovers? It’s time to confess in the comments. Oh I LUFFS liver...and its good fur me???? Mum...can I haf liver fur tea tonight pleeeeeease? I just dehydrated some calf liver for the boys. I am their favorite person tonight. LOL! Sure does sound like a healthy deal for the doggies. What a good Mom to cook for you two doggies. Great post. They are pretty spoiled but I like controlling what they eat. That is understandable. BOL! BOL! My mom buys liver for us too and makes it into nice treats for our nose work rewards. The treats sound yummy too and we have no problem with a bit of garlic. This recipe was one that many of my friends who had show dogs used religiously. My GSD LOVED them and they don't crumble in your pocket. I used to love liver when my mother cooked it for the family, but I have a problem cooking it myself. I just find raw liver too gross to deal with. When I go to visit my mom it is always on my "please make" list. Mine never turns out as good as hers. Isn't that the way it goes? It is one of those foods that you either love or hate There isn't much of a middle ground. We all eat liver in our house! And we love liver treats and we have liver cookies. SHE loves lamb's fry and bacon. We haven't tried any liver other than chicken or beef. I'll have to check into other types. Isn't that the truth? BOL! I dehydrated some calf liver tonight for the first time. Bentley and Pierre are thrilled. It definitely wouldn't make the list of best Girl Scout cookie flavors! BOL! OMD!!!! OMD!!!! I'LL BE RIGHT OVERS!!!!! That looks DELISH!!!!!!! Thanks for this postie...I've been tellin' Ma that I should gets more freeze-dried livers!!!! pees: really...I'll be overs on the next bus....save me a bowl! We will leave the light on for you! We've never had liver so we don't know if we would like it or not. I'll bet you would LOVE chicken livers. 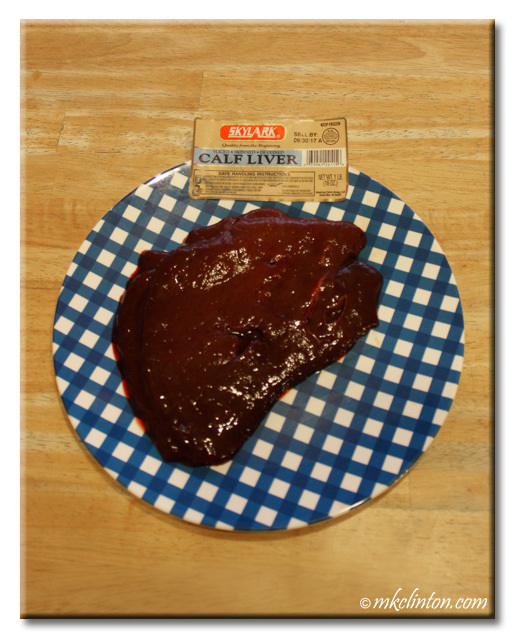 We eat freeze dried liver all the time but we have never had liver like you had. I feed it to the boys once a week in their food. They love it. I know Dex would love it. You can make these treats. I promise. LOL! I made venison liver treats once and the dogs loved them but it was weird to work with it. I know the boys would love some venison jerky! I haven't eaten liver since I was a child, so I've never thought of it too much for the dogs. That recipe sounds great though and I'd love to give it a try. Speaking of childhood foods everyone hated - did you know brussels sprouts are good for dogs as well? Our crew LOVED them when I gave them some! I love Brussels sprouts so the next time we have some, I'll be sure to share. I have eaten liver on many occasion growing up, mostly because my dad said it was healthy, and not because I liked it, but as I have gotten older, my palette has changed and have come to enjoy liver more. For my dog though, it has never occurred to me to serve her liver, so it will surely be going on the menu. I think it will make a nice treat for her! thank you for the recipe! Isn't it funny how our tastes mature as we do? Your dog will be so happy to have liver on her menu. Let me know how it goes and thanks for stopping by today. I don't care for liver myself, but my dogs LOVE it! I save any liver that comes w/ chicken I buy for us. I boil it up w/ some carrots & they go nuts for it. I also reserve the liquid and our it over their kibble to make a gravy. They love it! Thanks for this great post! Saving the liquid is a great idea! Liver is a favorite here and I dehydrated some the other day. It is great for training. Veg-to-Bowl makes feeding great food easy! Bentley says, "Thanks for the feet compliment" He uses them to get my attention...a lot! BOL! Hmmmm..... interesting. I knew liver was good for ya, but this was cool to read!